During the five-day board game lovefest, BGG.con attendees are encouraged to log into available computers and give thumbs up to their favorite games of the show. The list is topic of derision from some attendees who worry that the rankings are manipulated by exhibitors pushing players to boost the rankings or that gamers aren’t “taking it seriously.” No Respect: The Rodney Dangerfield Game ranks higher than one of the most played (and divisive) games of the con, Stronghold Games’ 504. While there are occasional outliers, the list below represents many of the most popular games of BGG.con. Feel free to take it all with a grain of salt. The goal, really, is to make you aware of games other players enjoyed. And there are certainly a lot of enjoyable games on this list. It should be noted that Codenames is #1 by a wide margin. 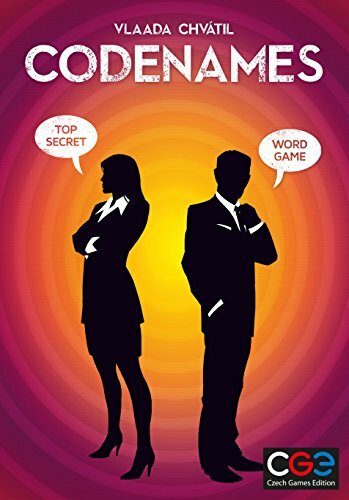 Whatever your thoughts are on the rest of the list, based on how often I saw Codenames on tables, this one is hard to dispute. Codenames was the game of BGG.con 2015. Everyone played it. You should play it too. You can view the full (and still updating) list of GeekBuzz games here.